This week I’m teaching Learning Tree’s course 2108 SQL Server Database Administration in the LEC in London. Following on from last weeks success live blogging from the back of the room whilst producing the 294 influence skills course, this week I’m in the process of trying this from the front of the class. 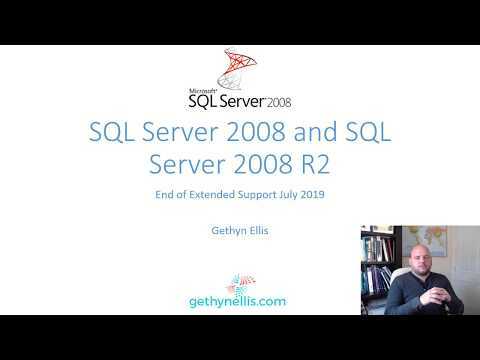 Day 3 three focuses on the most important area of SQL Server Database Administration in my opinion. Backup and Restore. We cover everything from restoring restoring user databases to recovering broken servers. 16:30 With the backup job for Human Resources created. That's going to be it for the day. We'll start again in the morning looking database maintenance tasks. 16:05 Creating a backup job for the Human Resources database. 15:45 Started looking at agents jobs and configuring the agent to work with database mail. 15:30 Chapter 6 is working with the Agent. We're about setup database mail so we can configure some alerts and notifications. 15:00 We are going to look at automating a lot of these tasks in the next chapter. 14:45 Log block version 2 is not supported. Interesting error. 14:10 after some dicssion around rebuilding and restoring the master database, the group are now attempting to run through the recovery process. Rebuilding master and restoring then restoring the orders database to a point in time. Fun stuff. 12:10 Lunch on day 3 - We have a fun afternoon to look forward too. 12:00 Discussion around transaction log backups, why they are important and the role they play in being able to recover a database to a point in time. And their implications and what we need to do to manage the log. 0900 Review of yesterday and did some practice questions on what we have covered so far.